THE BEST way to to fabricate your Scale Models in less than 48 Hours. RCS Toys Ram Chander And Sons Co. The Nuclear Scale is used in on-line continuous measuring and proportioning control for various bulk solid materials in the industries of cement, coal, coking plant, steel, mine, power, chemical and food etc. Metal scale model made to specification. Scale Models also available in Resin and Plastic. 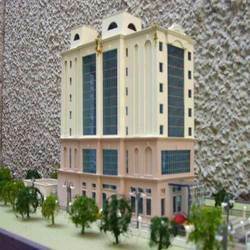 We are engaged in offering variety of Architectural Scale Models. 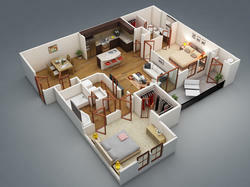 Our services range of Architectural Scale Models includes Housing Models, Home Models and many more services. Our customers trust on our services for their excellent performance and market leading prices. As a physical Model Makers, we use modern sophisticated equipment and facility to scale down the model as same as the real one. The top-notch model making service that we provide consist of scale Models , Miniature Models, Plant Models, Industrial Models. Keeping in mind the precise demands of clients, we offer a wide range of Scale Down Model. These are designed and developed as per the exact demands and requirements of clients. Owing to its application specific design, fine finish and attractiveness, these are widely recommended by large numbers of clients. For Education and Training purpose, different aircraft scale models are available with us in different scales. Turn your idea’s and concepts into accurate 3D scale miniature replica models using a variety of modern materials in a modest budget. Depending on the scale and the details in the model, we use a mix of 3D printing, Laser cutting and expert artisan-ship for bringing out the best to our customers.